According to the U.S. Department of Health and Human Services, today's average 65-year-old has a 70 percent chance of needing some kind of long-term care as they age. They also report that although one-third of today's 65-year-olds may not ever require long-term care or assistance living, that one out of five will need it for more than five years, that's 20 percent. At a time when many hardly have their retirement fully funded, it pays to look into the options for long-term care and what kind of costs are involved with a Long-Term Care Insurance Plan, regardless of your age. Having the facts can save you money long-term, and help you come up with a financial plan to weather difficult times. Why get long-term care insurance? Do you really need it? No one knows if they will need long-term care insurance, in the same way, you don't know if you will need home insurance for a theft or fire. However, the statistics indicate that with our aging population one out of every handful of people will need some sort of long-term care, so the question is more about can you afford your own long-term care if the situation arises, and how willing are you to run the risk? Will the government pay for long-term care? Some people believe that they do not need to worry about long-term care because the government may pay for these services. This is a misconception. The government will only pay for long-term care under specific circumstances and the coverage is limited based on specific criteria and situations. For example, Medicare may pay for long-term care up to a maximum of 100 days for skilled services or rehabilitative care in a nursing home. It is very limited, and statistically, the average covered stay by Medicare is 22 days. Medicaid does provide coverage, but in order to qualify for Medicaid, you must fall into a certain low-income level. For certain populations, there may be some coverage for those who qualify under the Older Americans Act or the criteria set by the Department of Veterans Affairs. Other than programs like these, which are limited programs that only cater to specific populations, people often have to turn to private health insurance coverage to get help with long-term care costs. Long-term care insurance (LTC Insurance) provides you with income if you become dependent on someone else's care or require assistance for basic living tasks and needs due to an illness. The reason for needing long-term care could be a chronic illness, a prolonged physical illness, a degenerative disease, or other medical condition which requires you to receive home care or get care in an assisted living or long-term care facility. The income benefit you receive can then be used to pay for your long-term care and assures that you or your family get the help needed for your personal care when you can not provide it for yourself. Services needed, including those of a caregiver, due to a debilitating illness may include Activities of Daily Living (ADL), home care, housekeeping, nursing services and relocation to specialized long-term care or assisted living facilities. Although the cost of long-term care varies based on the kind of care you need, there are some online tools that can help you figure out how much Long-Term Care costs per month, Genworth has a tool that gives an average cost of long-term care as well as state-specific info. A tool like this may help you figure out if you could pay for it yourself, or if you should consider Long-Term Care Insurance. How much does long-term care insurance (LTC) cost? The cost of long-term care insurance varies greatly. Even with the same exact situation, the cost you could get quoted with one insurance carrier can be significantly higher than another. With long-term care insurance, it really pays to shop. When trying to save money on health insurance, the best approach is to do your research, you could save hundreds of dollars a year which works out to thousands of dollars over time. Getting a health insurance broker that can help you is an option you may want to look at. The broker may not only check many insurance companies for you but will also be able to review your supplemental health insurance coverage options and possibly put together a package that will address many of your needs in health insurance. They will also be able to explain in detail what the various coverage options and conditions are on the policy. How does pricing work in long-term care insurance? Just like with other private insurance, each LTC insurance provider will set their own rates based on their loss experience and underwriting. LTC packages will have different terms and conditions or requirements. This information is based on data from the American Association for Long-Term Care Insurance (AALTCI), these are just examples to show the variation in cost in different circumstances and how the choice of LTC Insurance carrier can make a significant difference. In each instance, there is a price difference of about $1,000 or more based on the insurance company. It can be used as a good example of how important it may be to shop for good Long-Term Care Insurance Rates. These are based on a maximum daily benefit of $150 for three years benefit period, they are just examples, keep in mind you would need to get your own quotes based on your personal situation, these are only to show the potential range in price and to help you see why shopping for a policy is a really important aspect to this coverage. Does long-term care insurance cover costs forever? Long-term care insurance provides coverage for limited times. It is unlikely the benefit will cover costs "forever". Therefore, you can manage the costs of your long-term care insurance by choosing plans with longer or shorter periods of coverage, as well as by choosing the length of time you will be dependent for before the benefits kick in. We discuss this more in the 10 tips and questions to ask about long-term care below. Since each insurance company works with their own underwriting standards, it is helpful to have a checklist of items to ask about so you understand what you are shopping for and buying in the coverage. Ask them about the Activities of Daily Living requirements in order for you to receive a payout of benefits, you want to understand what qualifies for coverage under the LTC plan you are considering. Does it cover cognitive impairment, some people may have cognitive impairment, yet still be able to perform ADL. Will the plan you are looking at payout in these cases? Find out what is on the list of Activities of Daily Living that qualify for each plan you are comparing. For example, maybe there is a function of daily living that you can not perform, but by the terms of the policy you chose, it isn't considered one of the qualifying ADL. A company will usually require more than one activity of daily living to be an issue before you can qualify for your benefits. You want to know what qualifies in advance before you buy your policy. There is no standard definition across the industry for how ADL are evaluated, so it is important to ask questions and get examples o situations for the coverage you are buying. Some examples of ADL are: bathing, dressing, moving around (transferring), eating. How each is defined can make a difference. Ask them if there is a cash value or option to cash out should you not use the coverage and if the policy pays dividends. What happens if you die and haven't used the coverage? Compare the cost of single coverage vs. shared coverage with a spouse. This is a good way to save money. In these circumstances ask for a full explanation of what happens and how this shared benefit works if you both are requiring care, vs. only one of you. Do premiums increase over time or remain constant? Is there inflation protection? Inflation will affect rates of long-term care you may have options in the plan you purchase that addresses this. How will payment work on a claim? What is the claims process? Are there monthly or daily amounts? What are the limits? What is the maximum benefit pool? What is the maximum amount of time the benefits are payable for? On average, an LTC policy may provide between one to five years of coverage. Policies do not usually have an unlimited amount of time. This is an important factor to consider when comparing policies. Then, you will want to know if there are riders available to extend that time. These details can make a big difference in your choices and when comparing cost. Is there a waiting period? How long is it? If you take a policy with a longer term waiting period, do you have other benefits that you qualify for that can cover you during the waiting period, like Medicare or other private health plans? People often wait until they think they need something before they start planning for it, and unfortunately, in the case of Long-Term Care Insurance, this will not work in your favor. The AALTCI recommends the ideal age to look into long-term health care insurance to be between the ages of 52-64. In fact, according to data from the American Association for Long-Term Care Insurance, the rate of rejection for long-term care insurance seems to increase with age. So you may even want to look into options sooner. The increasing rate of rejection as you age makes a lot of sense given that insurance is based on an expected risk, and as you get older more medical restrictions and situations may come up which would point to an increased risk leading to a greater need for long-term care. Who should buy long-term care insurance to cover costs? Making sure you have good health insurance in the first place. Preventative medicine and taking steps to take care of your health may help identify problems before they become serious in many cases. Checking if you have other potential sources of income that you could turn to in a long-term care situation. For example, do you already have a life insurance policy that you may be willing to borrow money from if the situation came up? Are you in a position to self-insure long-term care costs? Do you have family members who will help? Are those family members really in a position to help? The decision to purchase long-term care should be reviewed as part of your long-term financial plan. Whether you need it or not is very specific to your own situation. You may decide after reviewing with your financial planner or broker that there are complimentary choices to explore, or you may make changes to your other insurance coverages as a result that will save you money. Should millennials or young people buy long-term care insurance? If you have a parent who does not have long-term care and you are worried that if anything ever happened they could not afford care, you should consider investing in buying long-term care for your parents or talking to them about it. Families are often the ones who get hit the hardest when an elderly family member becomes sick. According to Genworth's Beyond Dollars study, 46 percent of caregivers said that providing the care impacted their health and well-being. 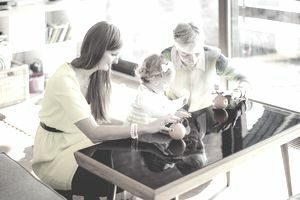 Having to take leave of absence from your work, or not being able to work because a parent needs care can snowball into a financial problem for you. Either because you end up paying for the care yourself, or because you are unable to work as a result. Have a discussion with your parents about what happens if they need long-term care. Insurance can help everyone in the family in a case like this and it may be in your best interest to look out for yourself by planning ahead with them. Should you choose critical illness or long-term care? Younger people may consider purchasing Critical Illness insurance as an alternative to Long-Term Care when they are younger, and in some cases, the critical illness insurance provider may offer the option to convert the critical illness insurance into long-term care when you are older in your 50s or 60s without taking a medical exam. Not all critical illness insurers do this, but you may be interested in finding one who does if you are planning for your long-term health care. Never look at long-term care coverage alone, look at your big picture to make the best decision. Statistics on long-term care: Could your application for coverage be denied? Aside from coverage terms, policy premium and how flexible the policy will be for your needs, you also need to consider the financial standing and reputation of the insurance company. It is very difficult to know how insurance companies will perform over time, but there are rating systems that show the financial stability of an insurance company that can be used as indicators. This type of information is key when you are looking at purchasing a policy that may only pay off years down the line like with life insurance or Long-Term Care. Asking a licensed professional like a broker who represents several insurance companies may help, but you can also check the financial ratings of the company in AM Best ratings. Which long-term care insurance company is best? and a variety of other factors, some of which we covered in our checklist of questions to ask above. The best way to save money on long-term care insurance is to plan ahead. When people do not have long-term care options and a situation comes up it throws your whole life into chaos, from lost income to needing help. Give some consideration to what your risks are now, and what the risks are for your family. Look at the collective of all the different insurance policies you have, including your life insurance choices. Shop around for competitive rates and an insurance company that offers flexibility and favorable benefit options.